kt literary » Blog Archive » Congrats to Susan Adrian! 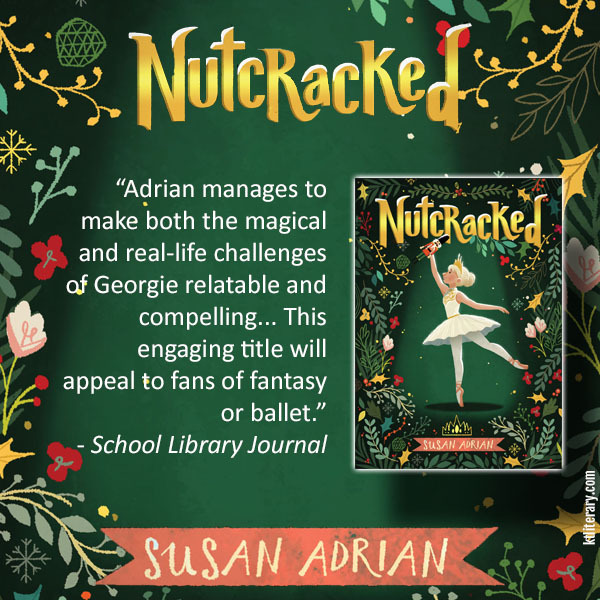 Susan’s debut MG Nutcracked comes out next month, and is perfect for the ballet-obsessed or magically-inclined tween reader of your acquaintance. Early reviews are great! Please join me in congratulating Susan on Twitter, if you haven’t done so already! ← Happy Book Birthday to GAMER SQUAD!